That is kind of like an hour glass shape! 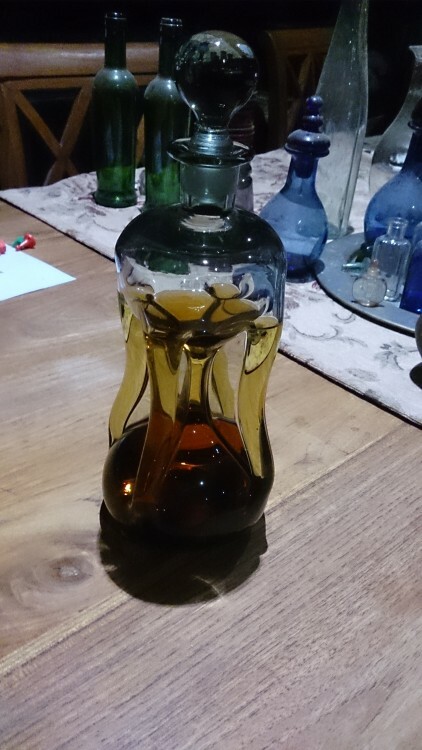 My tastes are usually towards the more classic style crystal decanters, however I don't really have any use for them on day to day basis, perhaps if I drank wine or if had to transfer the contents of a damaged bottle etc. Either way some of them can look quite classy next to a set of nice glassware.